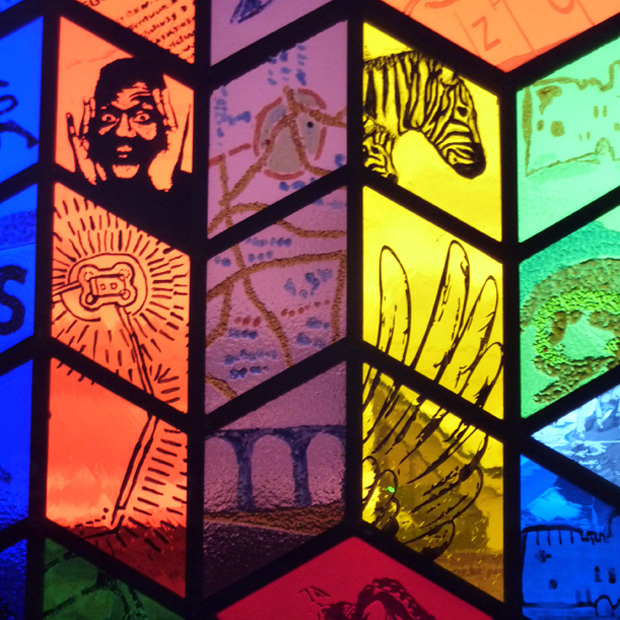 We were invited to create a stained glass feature for Holly Hall Academy, Dudley to celebrate their Academy status. We worked with the school over a six-week period with Year 10 pupils. In their most recent art projects they’d been looking at op art in particular Victor Vasarely whose work inspired the shape and pattern of the window. The design reflects Dudley’s rich industrial, cultural and geographic heritage such as the limestone mines, iron foundries, the art deco classic Dudley Zoo, roundabout art trail and of course Lenny Henry. 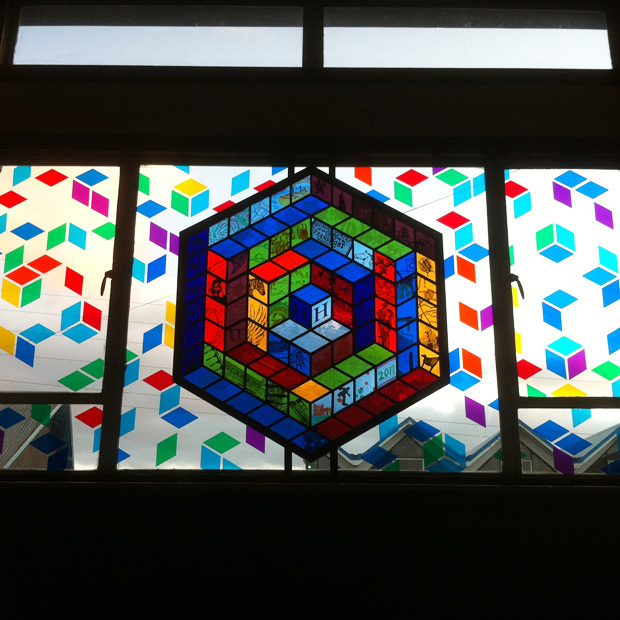 The pupils created the individual diamond panes through sandblasting, painting and fusing. Another element to the design is the transparent vinyl diamonds emanating around the feature. 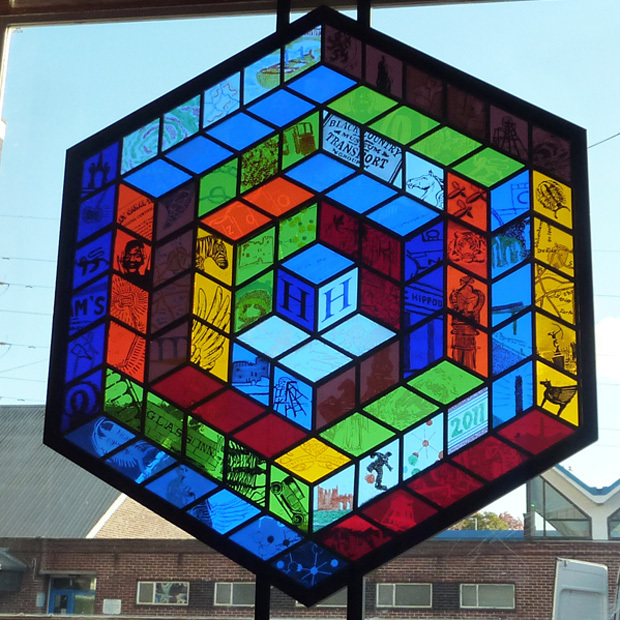 Eventually these will feature in all of the windows in the School Hall culminating at the glass feature in the centre. 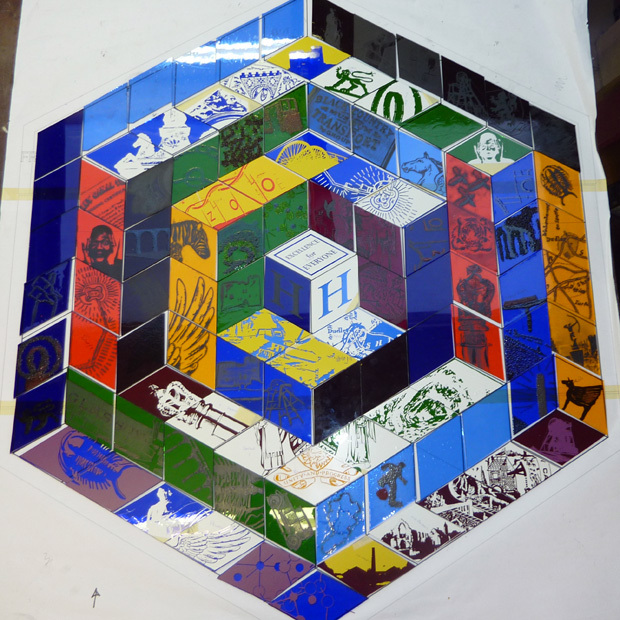 The idea being that these represent the pupils of the school all being pulled together towards the centre of the Hall, the glass feature, the Academy. This also has a practical feature as the transparent vinyl diamonds block out the harsh afternoon sun.